Angela, in the state’s, was driving to work, when she captured these images in the sky. End times, signs and wonders have begun. 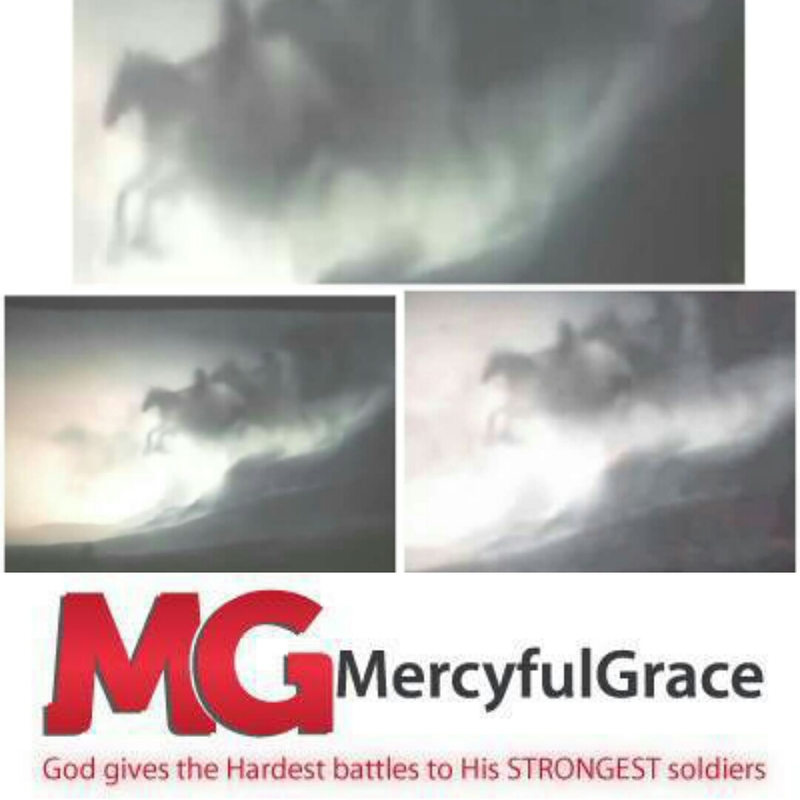 Can you see those three beings ridding horses in the clouds? Breathtaking. I recalled watching David Attenborough, unearthing, giant bones of dinosaurs. I don’t think we’ll fully know what walked the face of the earth before us ..’ Dinosaurs are just a start. Then, I just looked out and saw the beautiful Sun and said thank you Jesus. If I’m going to learn more about, God – I am definitely not going to; from organised religious hypocrites. Rather take a deep breath and feel the sunlight on my skin, and wake myself up inside, all over – again. That foolishness won’t have me fooled. Bunch of money lusting, mongering, self-righteous hypocrites. And while am at it; thank you Jesus for the Holy Ghost. When you see images like these; how can you deny the existence of God. Oh, but you need a little faith – unlike science. It’s the evidence of things unseen. I need me some brand new faith today to unveil the things that I don’t know, nor seen. Amen. Search the scriptures, if you don’t know what they mean.